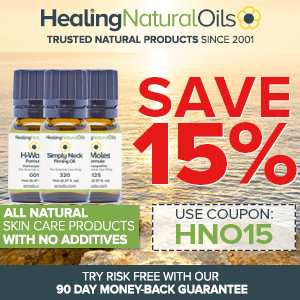 Essential oils have been used as natural medicinal aids for literally thousands of years, but only in recent decades has there been a resurgence of interest in what these amazing organic compounds can do. For the uninitiated, essential oils are natural oils that are extracted from various types of botanicals and organic substances (e.g., flowers, stems, roots, leaves, bark, etc. ), and they are typically isolated by way of steam distillation or expression (a.k.a. cold-pressing). Although these oils are often applied topically to help treat various ailments, one of the most popular uses for essential oils is within the practice of aromatherapy. This is an age-old form of alternative medicine, and it is widely believed that inhaling the aroma of these distilled natural substances can stimulate physical and psychological well-being, as well as treat or even prevent certain diseases. So how exactly do you create the “aroma” in “aromatherapy”? Trust me; just walking up to a eucalyptus plant and taking a big whiff won’t really do the trick (although it might help just a little). If you want to derive the maximum aromatic benefit from the various essential oils you’re using, you need to have an essential oil diffuser to do it. So what exactly is an essential oil diffuser? Well, let me back up a bit by first of all defining “diffusion”: It’s the process of spreading or dispersing the aroma of natural oils within a space so that the fragrance of the oils permeates the area. An essential oil diffuser, also called an aromatherapy diffuser is basically a device that enables you to accomplish this. Diffusing essential oils is a great way to kill airborne fungi and bacteria. Research indicates that essential oils derived from cinnamon bar, clove bud, thyme, and oregano in particular have an antibiotic effect, killing germs and fortifying the immune system. Aromatherapy diffusers also offer an ionizing effect, which can reduce the amount of dust in the air. The diffuser releases more negative ions into the air, which attach to the positive ions to eliminate airborne dust by causing it to fall to the ground. This way, there’s less dust floating around to get inhaled into your lungs, potentially causing irritation or allergic reactions. Diffusers also offer the benefit of quickly and efficiently spreading a pleasant aroma throughout a space. 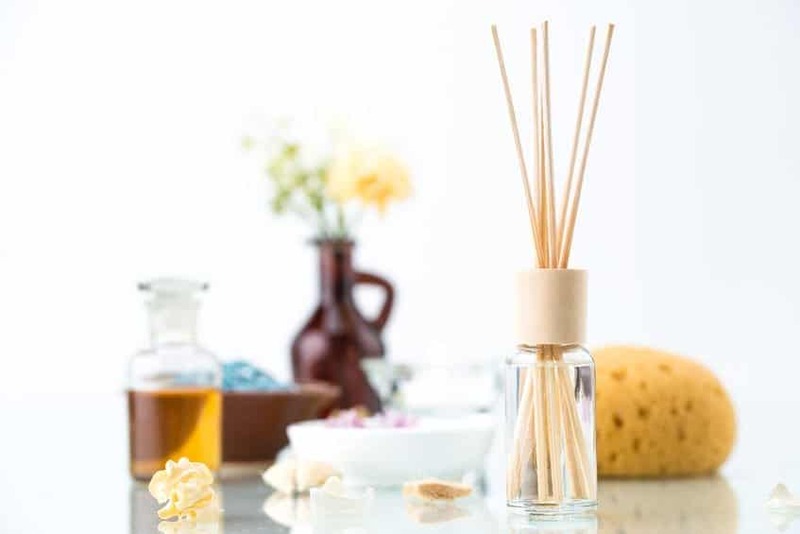 Essential oil diffusers basically split the essential oils into millions of tiny little particles, creating a type of ultra-fine water vapor that quickly finds its way throughout the entire space. You can turn on an essential oil diffuser, and within only seconds, you can smell the heavenly aroma of essential oils! One of the main benefits of aromatherapy diffusers is that it simply makes your living areas / rooms smell better. You’ve probably heard before about how your sense of smell is connected to the part of your brain that is responsible for memory and recall; this is why you can walk into a place and smell a familiar aroma, and then get instantly transported in your mind back to your grandmother’s house, or some other childhood memory where that same smell was present. Diffusing essential oils can create a positive emotional connection to a space by providing a nourishing, life-giving atmosphere. Many essential oil diffusers can also humidify the air, which really comes in handy when you think about how unpleasant those dry winter days can be. Keep in mind that dry air can wreak havoc on your respiratory system, irritate your mucous membranes and cause your skin to become flaky or dried out. Using an aromatherapy diffuser can keep humidity levels between 40% and 60%, which offers the ideal setting for optimal air quality. Essential oil diffusers also enable you to maximize the effectiveness of these powerful natural compounds. While heating essential oils via an aroma lamp is a popular method, it will definitely diminish the therapeutic effects of the oil due to the slight level of degradation that happens via the heating process. Aromatherapy diffusers can distribute the entirety of the fragrance throughout the air, which isn’t always the case with other methods (i.e. heating). 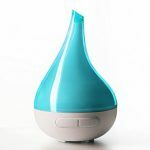 How To Choose An Essential Oil Diffuser? How long do you want your diffuser to run? Some machines offer different total operating times than others, so be sure to check up on this important detail before solidifying your purchase. There are some essential oil diffusers that can operate for 3 to 4 hours at a time while others can run between 6 to 10 hours non-stop. This is especially important if you’re looking to buy a diffuser that can run throughout the night while you’re sleeping. As with many other important machines in our lives (our cars included), your diffuser requires water to operate. The amount of water that the diffuser can hold in its reservoir will determine the length of time that the machine can be operational. Ideally, an essential oil diffuser should offer somewhere in the neighborhood of between 100mL to 300mL with a few going up to 500mL of water capacity, which equals between 3.4 to 10.1 ounces of water, 16.9 ounces for the 500mL. This is basically the force or intensity of the vapor output, not unlike the speed settings for a basic oscillating fan. With a higher level of airflow output, you’re basically increasing the air pressure so that it can push the air out and scatter the essential oil vapor at an increased rate. This is one of those areas that’s going to require a little bit of trial-and-error before you get everything figured out. When using essential oils, keep in mind that a little bit can go a long way, so it’s not always about keeping the diffuser running constantly. Some people find that results are better when they run the diffuser for a set amount of time, and then they allow for a pause in the action before restarting. This can help with managing essential oil quantities, so that you’re not running through your supply too quickly. For this type of setup, you will need to shop for an essential oil diffuser that can offer time cycle programming, so that you can be in complete control of how long the diffuser is running at any given time. Some diffusers come with 3-4 timer options, e.g. 1 hour, 3 hours and 6 hours, while others do not offer any timer option. As with any other electrical device, safety should be a top concern when using your essential oil diffuser. Fortunately, there are several diffusers on the market that offer an automatic shutoff feature, so that the unit won’t accidentally burn out if the water runs out. This definitely comes in handy at night-time, because the unit can shut off automatically while you’re sleeping, keeping everything worry-free. This is a very important point, because you don’t want to buy a diffuser that cannot adequately cover the area you need. People who ignore this vital detail end up having to buy two (or even three) diffusers for one space, which can definitely be impractical. The most popular diffusers can cover between 200 to 300 square feet, but there are some diffusers on the market that can cover an area of up to 500 square feet. If you’re not a fan of insistent buzzing or humming in a room, you will need to find a diffuser that offers quiet operation via “Whisper Quiet Technology”. This is definitely a matter of preference, as some people can block the sound out without a second thought, while others are very sensitive to even the very slight background noise that a diffuser produces, prefer a noise-free diffuser? There are several diffusers on the market that offer some type of LED lighting for various effects. Many people use this feature as a night light, but it can also add a splash of visual interest to a dimly lit space during the day. There are also some diffusers on the markets that have dimming and brightening functionalities, so that you can control the intensity of the light. Here is one with 7 LED lighting changing modes and another one with dimming lighting effects. Most of today’s essential oil diffusers are stylishly designed, and can add a touch of elegance to any living space. There are all kinds of shapes, sizes and colors available, from circular discs to pyramidal shapes. 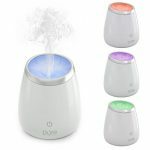 (https://www.amazon.com/dp/B00I9SKESS) Depending upon the type of look you’re shooting for in your home or office, you should have no problem finding an aromatherapy diffuser that has a design that fits the aesthetics of the space. Fancy a more natural looking dome-shaped diffuser. The majority of aromatherapy diffuser manufacturers will offer at least a six-month warranty on their diffuser. There is one manufacturer who offers a lifetime warranty. Double check on this detail, as it can save you time and money in the future if you have any reason to return the product for a refund or replacement. Fortunately, the manufacturers of essential oil diffusers make their products a very easy to use. Truth be told, these devices couldn’t be too much easier to operate, because there’s simply not a whole lot of steps involved. For an ultrasonic diffuser, for instance, all you have to do is just fill the water tank with some warm water, add about 10 to 15 drops of essential oils of your choice / you see most fit to use, and then put the tank back on the unit and crank it up via the power button. Most programmable diffusers have a very straightforward operation as well, so if you want to set the unit up to run for a certain amount of time, it’s not hard to do at all. Most units offer some type of toggle button functionality, to where you can press one button to toggle through different time cycles (e.g., 1-hour, 3-hour, 6-hour, etc.) until you find the one that works for you. If you are bothered by nights at light when you’re trying to sleep (which many people are), you can always run the unit without the lights. For people who like to have the lights on at night, many diffusers allow you to cycle through different lighting color schemes to select which one you want. You can also add some ambiance to a room during the day by selecting an appropriate lighting scheme to match the look you’re going for. There are several different types of essential oil diffusers on the market, so for the sake of brevity I’m going to provide a brief overview of some of the most basic types of diffusers first, which I have affectionately categorized as part of the “old school”. After that, I will move on to the two most popular diffusers (nebulizing and ultrasonic) that are commonly in use today. These are rings that are made out of brass or terracotta, and they fit directly onto a lightbulb. The ring features a groove that goes round its circumference, which is where you will place the essential oil. As the lightbulb heats up the ring, the aroma of the essential oils gets released. While lamp ring diffusers are a highly affordable solution, they can get a little messy if the lightbulb happens to break. In addition, if you’re working with odd-sized lightbulbs or anything other than a traditional round-shaped bulb, there’s a good chance that the ring simply won’t work. These diffusers can come in a wide variety of sizes and shapes, but one of the most popular designs is that of a traditional clay pot with a cork that plugs the opening. The essential oils are poured into the pot, and then the cork is reinserted to seal up the pot. Since both terracotta and sandstone are highly porous materials, the oils will gradually seep through the pot and diffuse out into the room. You can somewhat control the intensity of the aroma by how much essential oil you initially add to the pot. While this is also an inexpensive diffusing option, the aroma from the oil does not release in an evenly distributed manner; instead, it tends to be strongest at first, but diminishes significantly as time goes on. This is a basic and relatively inexpensive way to diffuse essential oil aroma. Fan diffusers come in a wide variety of styles and sizes, but the basic premise is that you load up some type of absorbent pad or tray with essential oils, and then the fan unit begins to blow directly across the tray or pad, carrying the aroma out into the room. These types of diffusers are easy to use and can be operated by either electric or battery power, but one drawback is that some units require repeated purchases of replacement absorbent pads. There’s definitely nothing sophisticated about this type of diffuser; it often looks like a pot or jar with a hollowed-out center, which is where you will put the candle. At the top of the diffuser will be some type of bowl or tray, which is where you will put the essential oil. Once you light the candle and place it inside of the hollow center of the diffuser, it will sit directly under the bowl or tray and begin to heat up the oil, creating the aroma. While candle diffusers are very straightforward and require no electricity or battery power, you do have to take the same safety precautions you would with using any other type of candle. This is basically a self-contained unit that heats up whatever essential oil you place in it by way of electric heat. Electric heat diffusers tend to cover more area in terms of spreading out their fragrance, but you do have to be mindful to keep the unit clean of oil residue, otherwise it could become gunky and ineffective over time. 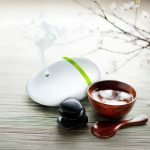 What Are The Two (2) Most Popular Essential Oil Diffusers / Aromatherapy Diffusers In Use Today? An essential oil nebulizer is a device that breaks up the essential oil into smaller molecules first before dispersing it into the room. Many of you parents might be familiar with nebulizers if your child ever suffered from a respiratory infection when they were very little. Doctors will often prescribe a liquid medicine that can be nebulized through a breathing mask, so that the child won’t have to do anything but inhale the mist or vapor that is created by the nebulizer. The essential oil nebulizer works in basically the same way; it features a bulb-like glass piece that holds the oil (although sometimes it can look like a bottle), and an electric pump that nebulizes the oil in order to distribute it into the area as an ultra-fine mist or vapor. One of the major benefits of using an essential oil nebulizer is that it works really well for therapeutic purposes, since the mist is so fine that it’s very easy to inhale. This is a big help for people who are struggling with respiratory infections, as all they have to do is breathe in to receive the benefits of the aromatic oils. In addition, nebulizers are very easy to set up and use, making it a no-hassle affair to receive the benefits of using this device. The only drawback to using an essential oil nebulizer is that cleanup can sometimes be very tedious, especially if the part of the nebulizer that holds the oil contains very narrow openings. If you’re using a thicker type of oil (e.g., sandalwood or patchouli), it can get clogged in certain types of nebulizers, so it might be a good idea to blend them with a much thinner oil first before loading them into the device. 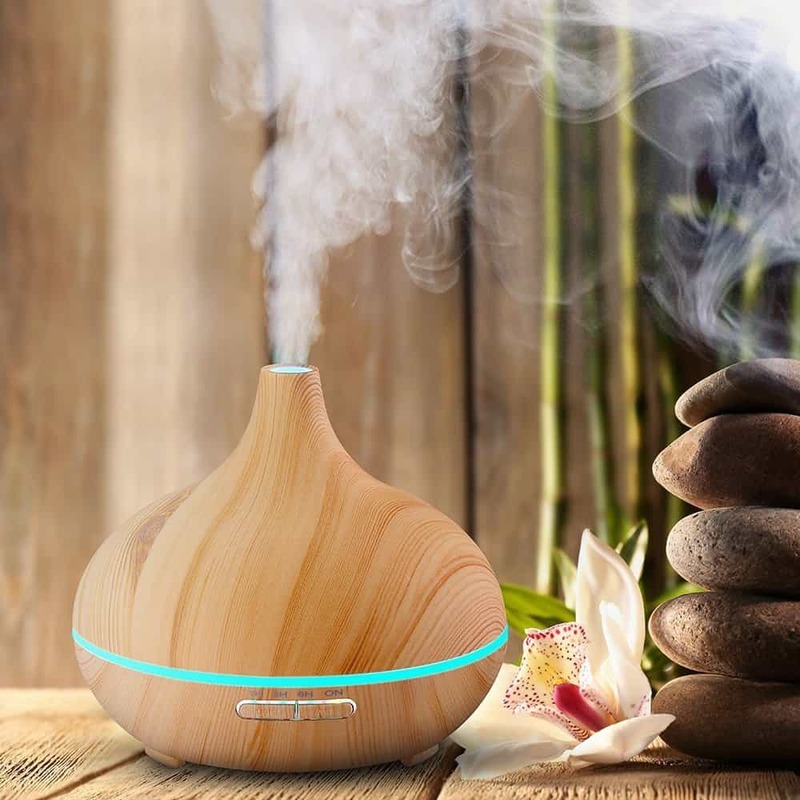 This type of diffuser uses a combination of water and ultrasonic waves to distribute a very fine vapor or micro-mist of essential oil into the room. Depending upon how long you decide to set the timer on the unit, this aroma can be dispersed into the environment for several hours. One of the main benefits of using an ultrasonic diffuser is that it uses less oil than practically all of the other types of diffusers on the market, and this means long-term savings for you. Not only that, but ultrasonic diffusers purify and humidify the air as well, which can help to curtail all kinds of pollutants in the air that can be bothersome to people who are suffering from asthma, hay fever and various respiratory problems. As far as drawbacks go, ultrasonic diffusers can sometimes be more problematic than other diffusers, but this can be due to a variety of factors. The main way to ensure that you get the best and most use out of an ultrasonic diffuser is to thoroughly read and follow the manufacturer’s instructions for the device, especially in terms of how to clean it. If you use improper cleaning materials or methods, you could hinder the usefulness of the machine, or shorten its lifespan by a significant degree. What Is The Difference Between A Nebulizing Diffuser And An Ultrasonic Diffuser? The main difference between a nebulizing diffuser and an ultrasonic diffuser is the method by which the essential oil is diffused into the air. With a nebulizer, a type of electrical pump is involved that is responsible for breaking the oils down into smaller molecules, and producing a micro-fine mist that is then dispersed into the air. An ultrasonic diffuser, on the other hand, utilizes vibrating sound waves (beyond the perception of human ears, of course) to convert the essential oils into an ultra-fine aromatic mist. This means that the unit does not require heat in order to diffuse the aroma, which is essential to maintaining the holistic properties and structural integrity of the essential oils. Nebulizing diffusers tend to use a little more oil than ultrasonic diffusers by virtue of this difference in diffusion processes. In addition, another important difference to point out is that nebulizing diffusers tend to be a little louder than their ultrasonic counterparts, so if noise is an issue for you, it’s probably better for you to go with an ultrasonic diffuser. Consider where you plan to place the diffuser in order to determine which one would best serve your intended purpose. For example, if you’re going to place a diffuser in a child’s room, you will definitely need to use one that has an automatic shutoff feature. Keep in mind that thicker oils tend to diffuse at a slower rate than thinner oils. No matter which type of oil you work with, do not add water (or any other substance) to try and thin the oil out, as this could cause problems with the diffusing unit, especially if it’s a nebulizer. If you want to change out the oils you’re using, be mindful to let the old oil diffuse completely out before putting in a different type of oil. If you don’t feel like waiting for the oil to diffuse and you want to go ahead and make a change, you can extract the remaining oil out with an eyedropper, or simply discard the essential oil and start with a fresh one. One of the best cleaning agents for diffusers (and nebulizers in particular) is rubbing alcohol, but mild soapy water can do a great job as well. Another top choice is to clean the unit with some type of citric acid if you want to avoid using chemical cleaning solutions. Allow each piece of the diffuser to dry before putting everything back together. For quicker drying, you can use a blow dryer to blow off any excess moisture on the pieces of the diffuser, but be sure to keep the dryer on low heat. Be sure to keep a good eye on your oil and water levels at all times. Even though many diffusers feature an automatic shutoff function to prevent the unit from burning out, it’s still a good idea to take this necessary precaution. If you’re using a nebulizer, always be sure to place the glass nebulizer over the jet before you power up the diffuser. In addition, be sure that the diffuser is placed on a stable surface before using it. How To Diffuse Essential Oils Using An Essential Oil Diffuser? Thankfully, essential oil diffusers are very easy to use. With a nebulizer, you need to be sure that you have connected the tube from the air pump to the air inlet of the reservoir where the oil will be kept. Once you have put about 15 to 20 drops of essential oil into the reservoir (it should be about a quarter of an inch deep), you then place the glass nebulizer over the area where the air will be pushed out. Now all that’s left is to power up the unit, and you’re in business! 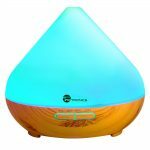 The BIG Question – Where To Buy An Essential Oil Diffuser? There are dozens of places to purchase essential oil diffusers online, but I happen to heavily favor Amazon for a number of key reasons. First of all, it’s hard to beat the selection of aromatherapy diffusers that Amazon offers. Whether you want a diffuser that features a distinctive or sleek shape (e.g., conical, cylindrical, cubical, compact, etc. ), or if you would like a certain aesthetic detail (e.g., wood grain, multi-colored, etc. ), you can pretty much find whatever type of essential oil diffuser you can think of on Amazon. Not only that, but if you’re a member of Amazon Prime, you can get free 2-day shipping with most purchases, which is an ultra-convenient perk that I happen to use all the time. There’s something really cool about ordering a product online, and within 48 hours it arrives at your doorstep without a hitch. Another reason why I like using Amazon for purchases like these is that I can read the reviews to see what other people are saying about the product. I’m a big advocate of learning from other people’s experiences (both good and bad), so by checking out what others have said and/or experienced about a particular diffuser, I can make the best decision before I lay out any of my hard-earned money. 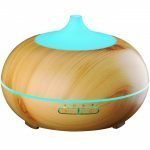 Shopping For An Essential Oil Diffuser / Aromatherapy Diffuser: Read My Reviews First – Top 20! Well, this has been another project of mine to review the best essential oil diffusers / aromatherapy diffusers. This has been no easy feat – I have been working day and night to get my selection of the top 20. So, you are in for a treat. I would like to point out that I have gone to the trouble of ranking the essential oil diffusers / aromatherapy diffusers in order of preference, starting with the one that scored the lowest score to the one that scored the highest. Unlike other blogs / websites out there that simply provide a review, I wanted to give a unique perspective on each diffuser whilst providing a score. So if you’ve been thinking about buying an essential oil diffuser, hopefully the information I have shared above has given you more insight into this highly helpful product. Take your time to read through and Happy diffusing! 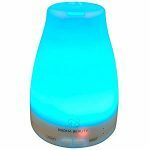 The Radha Beauty 120ml essential oil diffuser is hugely popular, with over four thousand reviews on Amazon and a stellar rating. In addition to its low price, the many great features make it a favorite among customers. The design is stylishly modern, the settings are easy enough to figure out and the 120ml capacity means a longer run time than usual. Whether you want something to make your office smell nice, a diffuser for your meditation sessions or an aroma to clear up your sinuses and help you relax, this is a great choice. It almost resembles a rocket ship only with beautiful selection of cool lights. 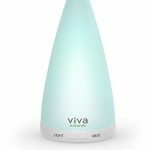 At less than $40, there is no reason you should not buy yourself the Viva Naturals essential oil diffuser. It comes with a nice modern design, adding a flare of style to your office desk or bedside table. 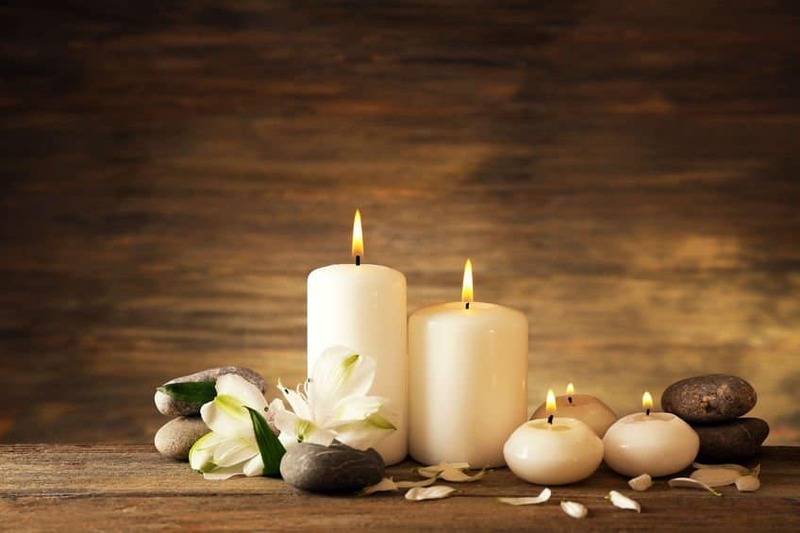 It is super easy to use with settings that allow you to set the perfect mood to relax. There is even a measuring cup to make your work really simple. If you were looking for a compact and affordable essential oil diffuser for use at home, place of business or office, the Viva Naturals diffuser is a great choice. Here are some of its best features. This compact and stylishly designed essential oil diffuser has attracted just under 6000 ratings (approx. 75% being 5* rating). It is affordable, works perfectly without a hitch and has the power to turn any space into a luxury spa. The URPOWER 2nd Version Essential Oil is an improvement on their original release, incorporating a better design and increasing the amount of mist produced. The diffuser is small enough to be placed anywhere whether it is on your office desk, bedside cabinet or yoga studio. You can even carry it around to use in your hotel room. If you are looking for an affordable way to make your space smell better, deal with skin issues and nasal dryness or relax after a hectic day, the URPOWER essential oil diffuser comes highly recommended. 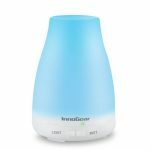 The InnoGear essential oil diffuser is one of the best diffusers for small and medium sized rooms. The 100ml capacity gives it a 6-hour maximum run time while the ultrasonic technology ensures a whisper quiet operation. As if all that is not relaxing enough, the diffuser comes with 7 different mood lights to help you relax exactly the way you want to. The Smiley Daisy Aromatherapy Essential Oil Diffuser is as fun and relaxing as it sounds. A beautiful design, warm vibrant LED colors and an amazing aroma make this a must-have for your home, office, hotel or gym. The diffuser is cheap enough such that you can buy several to put in different places. The Smiley Daisy is for anyone looking for an affordable and effective diffuser to make their home smell nice, for aromatherapy or to mask any unwanted odors. Here is a look at what the Smiley Daisy can do and its best features. 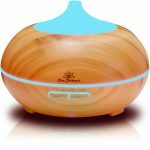 The slim and slender PureSpa Essential Oil Diffuser is relaxing enough before you even turn it on. The conic shape and white exterior make for a beautiful yet calming look. It goes super minimalist with only a single button to control everything. 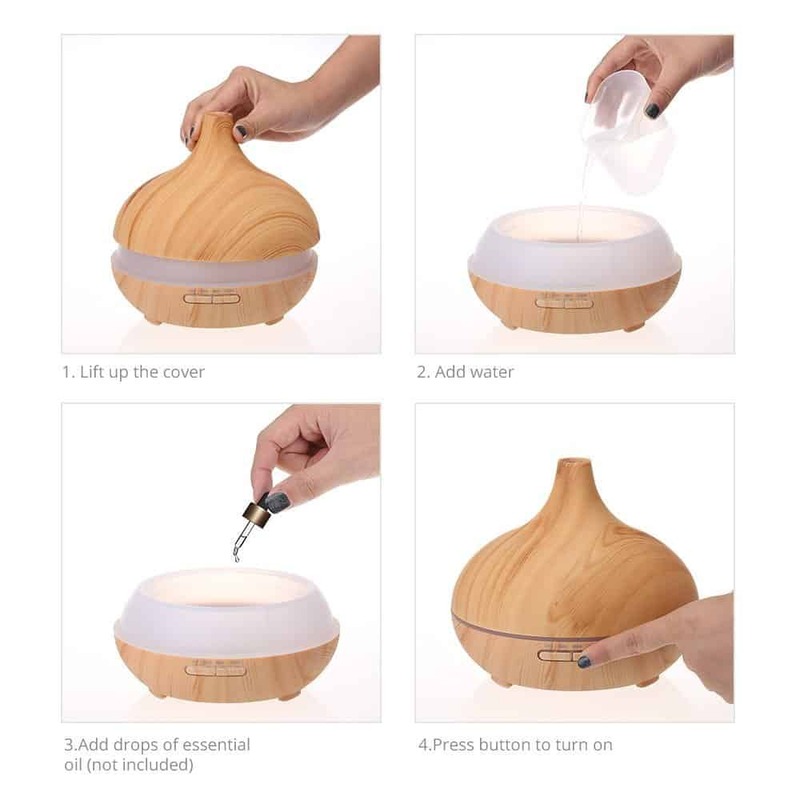 Despite its relatively small size and seemingly simple design, the PureSpa Essential Oil Diffuser accomplishes three things. First, it diffuses a relaxing aroma around a space. You can place it in the bedroom, living room or office to get its aromatherapy benefits. Second, it acts as a mini moisturizer for small spaces. As it sends out water vapor, it creates a cooler and more relaxing environment. Third, it functions as an ionizer, producing negative charges, which are associated with sleep and relaxation, better air quality and improved overall health. With almost 3,000 reviews on Amazon, the Deneve diffuser is one of the highest rated. A combination of affordable pricing, a unique design and effectiveness in its function has made it quite popular. At first sight, it does not even resemble a diffuser. It looks like an egg or a smooth rock, hence the name Riverock. The stylish and minimalist design works for any space whether it is your office desk, yoga studio or bedroom. You can get the Deneve essential oil diffuser in pearly white or luxury black. 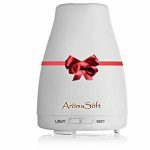 The Aromasoft essential oil diffuser is sold by Fine Line Living, a family company with an excellent track record of great home products and good customer service. This diffuser looks great and works even better at turning your home, or any other space, into a heavenly spa. It produces a nice strong mist that humidifies the air as well as making it smell great. Depending on which essential oils you use, the mist also helps with health issues such as headaches, insomnia and nasal congestion. Here are some of the best features. 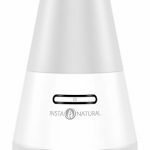 Aromatherapy goes full luxury with the InstaNatural Essential Oil Diffuser. A soft blue LED and a curved cone shape gives the diffuser an unmistakably elegant look. Without even considering its essential function, that of making any space smell heavenly, it’s good enough as a chic décor addition. You can use it in your office, bedroom, living room, office reception or anywhere else you want. 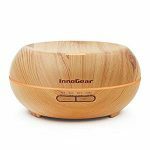 With a beautiful wood grain exterior, 7 vibrant LED lights to match different moods and a friendly price, it is no wonder the InnoGear 200ml essential oil diffuser is so popular with more than 1000 reviews on Amazon. It is easy to use, allows the user to play around with various settings to get the perfect experience and provides a slightly larger capacity of 200ml. 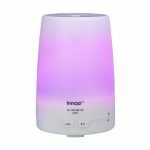 Before we look at some of the top features of the InnoGear essential oil diffuser, you may be wondering where you can use it. At first sight, the QUOOZ Lull looks more like a decorative centerpiece than an essential oil diffuser. A graceful flower-like shape of glass-like material rises out of the chic white base. Two large buttons grace the relatively small base while the long top casing ends up in a narrow neck with an opening where the mist comes out. The QUOOZ Lull diffuser is a great way to relax, treat a flu and other nasal symptoms or focus on your work. Because it is a completely safe gadget, you can use it wherever you like whether it is your home, the office, spa or hotel room. The first thing that will hit you when you unbox the VicTsing 300ml essential oil diffuser is the beautiful natural exterior. The coated wood grain surface helps you relax before you even start using the diffuser. Once you get to using it, the powerful refreshing mist will no doubt impress you. A 7 color array of LED mood lights creates just the perfect environment for whatever mood you are in, whether it is work, play or relaxing. Below, we take a look at some of the features you are going to love. At 300ml, the TaoTronics Essential Oil Diffuser is well above the standard capacity of 100-150ml that most diffusers boast of. This gives you 8 full hours of continues heavenly aroma in whatever space you desire be it your bedroom, the living room, office, yoga studio, waiting area or gym. The diffuser is pretty easy to use, so you do not have to keep fiddling with it. Read on for the best features of the TaoTronics diffuser and any issues you should take note of. URPOWER is a well-known brand when it comes to top essential oil diffusers. Their 100ml capacity diffuser is a top favorite on Amazon. This one comes with added capacity, for longer operational duration. While the 100ml one provides up to 6 hours of continuous mist, this one can ran for 10 hours. If you are looking for a compact essential oil diffuser for use at home or in the office, the URPOWER wood grain diffuser is a great choice. Here is a look at some of the top features. 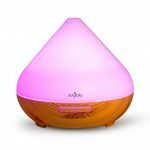 ANJOU’s medium size essential oil diffuser is an excellent choice if you want your room to be filled with the fragrance of essential oils throughout the night. It has a capacity of 300ml which can last up to 8 hours (continuous use). It is very popular with users, raking in over 500 reviews in just over 6 months of being on the market. If you are on the lookout for a compact and effective diffuser, this is one of the best you can buy. The package includes the diffuser (of course), a user guide and a measuring cup. Here are some of the best features. The Innoo Tech Essential Oil Diffuser is the companion that remains on your side wherever you are and whatever you are doing. Whether you are working in your office, sleeping at home or getting fit at the gym, the Innoo Tech diffuser is always with you. While it contains many of the standard features found in other diffusers, it has several additions that make for a great aromatic experience. It is quieter, more powerful and covers a larger area than most compact diffusers. Pure Enrichment, the company behind this beautiful aromatherapy essential oil diffuser, already has another slightly cheaper PureSpa diffuser. This one, which they have named PureSpa Deluxe, comes with slightly more capacity and a different design. As with their other diffuser, the PureSpa Deluxe can be used just about anywhere you can think of. Whether you want your bedroom smelling like lavender, your living room like roses or your office like peppermint, feel free to use the PureSpa essential oil diffuser. You can even use it in your kid’s bedroom without any having any safety worries. The 300ml VicTsing essential oil diffuser checks all the right boxes. It has a large capacity reservoir capable of 10 hours of continuous mist, 7 mood lighting color selections, a smart timer and a great natural design. No wonder it has become a best seller on Amazon. This unit is a great choice for anyone looking for a diffuser that looks great and works for more hours without requiring constant refills. You can safely use it just about anywhere including your office, spa, home or gym. For a price roughly similar to smaller diffusers, the 500ml URPOWER essential oil diffuser is a sweet deal. The huge capacity is not the only good thing about it. It comes with plenty of bonus features, a dizzying selection of mood colors to choose from, a breathtakingly beautiful design as well as an array of functions, 5 to be more precise, i.e. 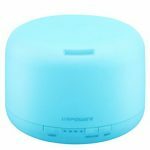 aromatherapy diffuser, humidifier, air purifier, ionizer, night light. If you use an $8 spray bottle to spread out the fragrance of an essential oil in your home, stop. There is something better, classier and worth your money. The Zen Breeze essential oil diffuser is what you should be spending your money on. 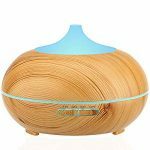 For less than $50, you get an elegant wood grain essential oil diffuser that turns any space into a spa. Just as Joan Stehman from Jan. 13, 2017, I need to print everything to be able to refer back to the articles and often time they won’t let me print. Why is that? if they allow us to read it. Saving everything I need to remember takes a lot of space on a computer. I have manual folders instead of digital folders. They are my references books. Just as the digital ebooks I download. You can use the print function at the top right hand side of each post to print. This is a great list. For starters, I just assumed that all diffusers are the same, since they should be doing essentially the same thing. But you have broken down the entire top list and that is a great way to help with a decision. Thank you. There are way too many choices on the market, so I had to rank them in order to make it easy for everyone to choose a diffuser. Wow, I didn’t expect this to be so long! I’ve never had an oil diffuser but a few months ago I’ve went completely vegan and started paying more attention to what products I use around the house. I used to have a lot of sprays hanging around and sprayed randomly whenever I felt like it. I know it’s not good but I was too lazy and careless to use something else. A friend introduced me to aromatherapy but I have no clue what to get. After reading your post I’m stuck between the one from VicTsing and the Zen Breeze one. Well done on going vegan. You are on your way to great health and well-being. Given that both diffusers have similar features I know it is a hard decision. I’d recommend Zen Breeze. I used to use AromaSoft Fine Line Living. Its amazing we love it and just saw that you gave it a good review. Have you personally used this one? Yes absolutely, all diffusers that I have reviewed within this post are great. It really comes down to personal taste and a number of other factors as per my ratings. I would like to print this list of diffusers to compare which one I should purchase. The site will not allow me to print. Thank you. I have used an individual rating system for each essential oil diffuser based on about 6 to 8 factors. This is then weighed accordingly and an overall rating is generated as you would appreciate. There is no single factor as such as some people prefer runtime over appearance for example whilst others may prefer coverage area over lighting effects, etc. Enjoy your Xmas shopping. PS: I’ll have a new essential oil blends kit of 5 blends coming up for sale soon, made in USA from 100% pure essential oils.